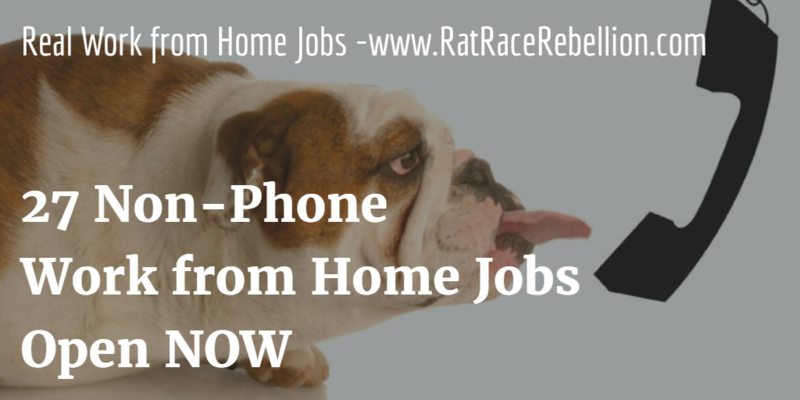 Not everyone wants — or is able — to work from home using the phone. In fact, some people would like to throw their phones (or their children’s phones) from the window of a moving car. Here are 27 jobs and gigs that won’t require you to use or throw the phone. ♥ Share the love! If you know someone looking for non-phone work, please share the post. They’ll love you and we will too! Thanks! This entry was posted in Non-Phone Jobs, Work at Home Jobs and tagged About.com, Automattic, Clevertech, ListVerse, Needle, SigTrack, Wonder. Bookmark the permalink.